This past weekend we got married in La Jolla at the MCASD. Surprise! It was not quite an elopement but it was a very tiny wedding. 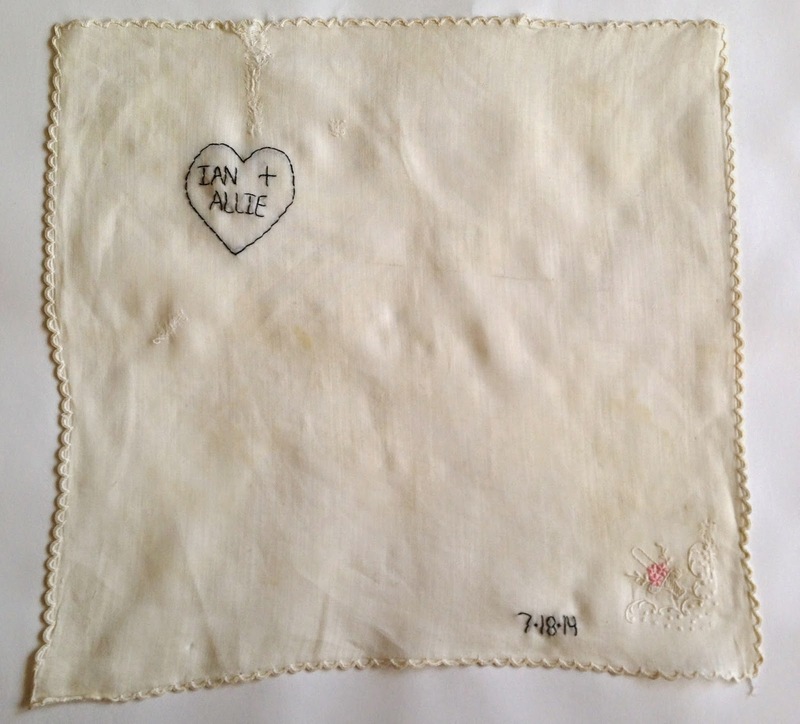 I made these embroidered hankies for the guests and this one was my favorite. Thanks Kristianne! The imperfections in that fabric are really beautiful.